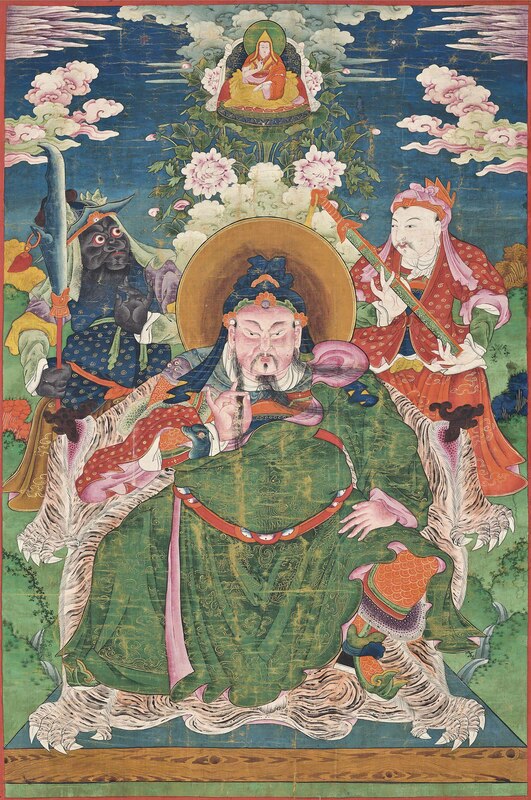 Guandi is seated with wide-spread feet on a throne covered with a tiger skin, his right hand is holding his beard while the left is placed on his hip. His hair is combed in a high chignon covered with a textile and a head nimbus behind. He is flanked by a pair of assistants holding a sword and lance, a lama above, all in a mountainous landscape.